Ben and Nikki are big C5-R fans. 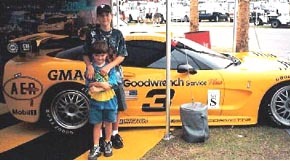 Lucky kids ~ they were at the 2001 Rolex-24 at Daytona and 2001 Sebring! Their Dad is a Member-at-Large in the Florida Region and gave them each an FCOA membership for their birthday. 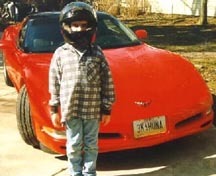 Chad spent a great day in July 2002 at Windy City Corvettes' Corvette Show. Besides all the show Corvettes, a highlight of the show was the Corvette Heritage Tour. Chad is seen here with the #64 C-5 R Corvette on display. 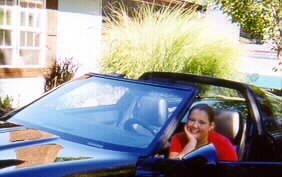 Natalie and Ross are shown here with their Grandpa's 1986 Corvette. Their Grandpa is a member of the Corvette Club of Texas in the Southwest Region. 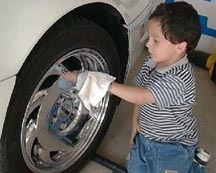 Abel is hard at work polishing the wheels of his Grandpa & Grandma's Corvette! 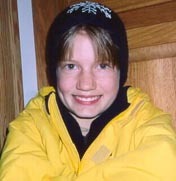 His Grandparents are members of Corvettes of Southern California in the West Coast Region. 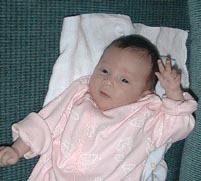 This is Amanda Lynn when she was just 3 weeks old! Her Grandpa is a member of Corvettes of Southern California and insists that he taught her the WAVE! Bradley looks like he's ready to jump behind the wheel of Grandpa's 1997 Vette in a few years. 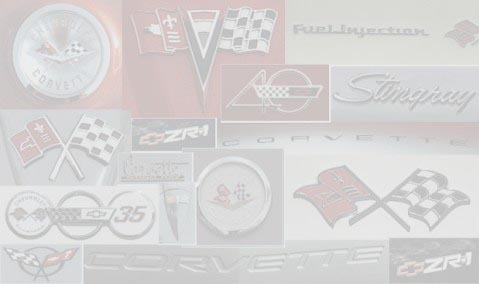 Bradley's Grandpa is a member of Corvette Cleveland in the East Ohio Region.